Marian Small, the former dean of education at the University of New Brunswick in Canada, writes and speaks about K–12 math around the world. Her focus is on teacher questioning to get at the important math, include and extend all students, and focus on critical thinking and creativity. 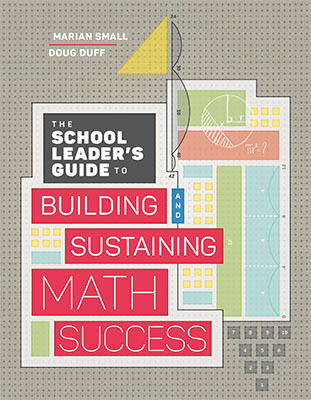 This book guides school leaders through the initial steps of improving math instruction and offers suggestions for monitoring, supporting, and sustaining improvement.